With its foundations well established in Jamaican cultural music, Dub music can be in present days, defined as one of the most eclectic sounds. Considering that it can derive from the essence of, pretty much, any style, its strength relays on the fact of being an open book to both experimental and traditional studio mix engineering. The evolution of dub, from the first remixes made in the seventies by King Tubby, Lee Perry, Herman Chin; Errol Thompson or Keith Hudson…to the actual diverse approach, owes much to the import in the eighties across the Atlantic, all the way to the United Kingdom. Since the mid eighties, UK was established as the new center of dub production, with originators Mad Professor and Jah Shaka, paving the way for a all new open minded generation of producers, DJs, soundsystems and studios, followers of steppers approach, and willing to preserve and pass on dis tradition. Embodying in the sound a whole new kind of digital and electronic musical variations, like drum n bass, jungle, techno, dubstep…they keep on to perpetuate and recreate the diversity and originality within the style till present days. In the forefront of mid nineties refreshing generations, we find the Leicester city based Vibronics crew. Vibronics were born from the inspiration that legendary Aba-Shanti-I sound system, and digitally sequenced music, provided to the mentor of the collective, Steve Vibronics. Since the beginning in 1995, Vibronics produce dub tunes exclusively projected to spin at roots sound systems. 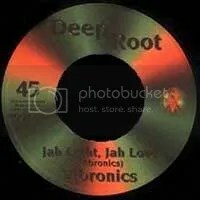 With the mentioned Aba-Shanty-I, Jah Shaka or Iration Steppas being the first to embrace, support & promote the raw dub creations, stimulated by the appeal that studio trickery from Scientist or King Tubby provided to Steve Vibronics. Those first heavy-weight cuts were to be the sounds that introduced Vibronics to UK dub dance pioneers Zion Train, who released the first ever Vibronics track “Awakening” through the compile works Egg Files released in Universal Egg label in 1997. 7’’ inchs on Universal Egg subsidiary Deep Roots, such as “Jah Light Jah Love” followed, opening the path towards shared ventures & collaborations with UK roots names like, Jah Free, Alpha & Omega, The Disciples, Wayne McArthur…Many, across the Europe, live shows and dub clashes after, Vibronics were in the beginning of the new millennium, a well respected presence in Roots scene, featuring by this time a top class crew showcasing singer Boney L, MC Richi Rootz or melodic player Vitamin M, alongside Steve Vibronics. “Dub Italizer”, in 2000, and “Dub Upliftment” in 2004, where Vibronics first album releases, and in spite of the great and flattered praises they received, they keep on producing single oriented music, build for sound system exposure. 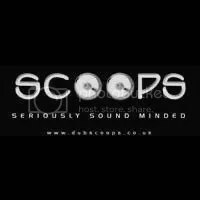 Contributing too, and maintaining a strong presence in UK Roots, the SCOOPS label was the perfect way to further this tradition, giving also the chance for both, oldscholl legends and new singers & players to provide their messages and approaches, through a series of 10’’ inch releases. From 2000 till now, Vibronics releases help unleash the powerful vibes and messages, presented by names like, Boney L, Madu, Murray Man, Vitamin M, Splitz Horns, Tena Stelin, Echo Ranks, Anthony John, Lutan Fyah, Mellow Baku, M Parvez or the two great Montserrat island sensations Jah Marnyah and Ras Iyakayah. An honor for sure was the 2006 SCOOP 10 inch 13th volume, featuring the first ever full vocal track from the head creator of Iration Steppas, Mark Iration! Named “Struggle”, this is surely one the greatest UK roots anthems! 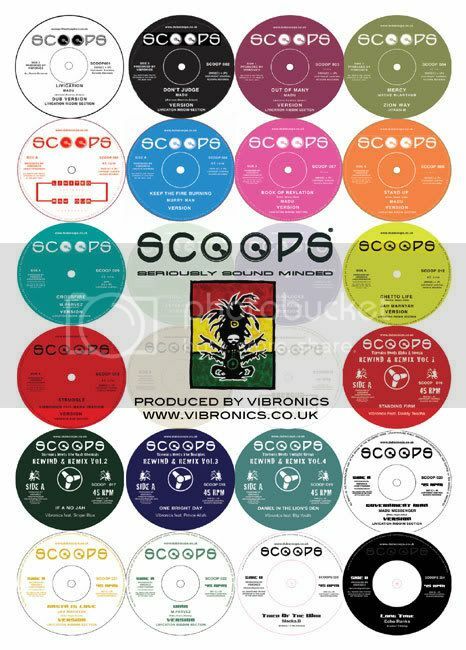 More recently, March 2008, and postponing a desire that was dated in 2004, Vibronics & SCOOPS label, have released their very first 7’’ inch singles, featuring the new top UK roots voice Echo Ranks, and no need for introductions, legendary Macka B. 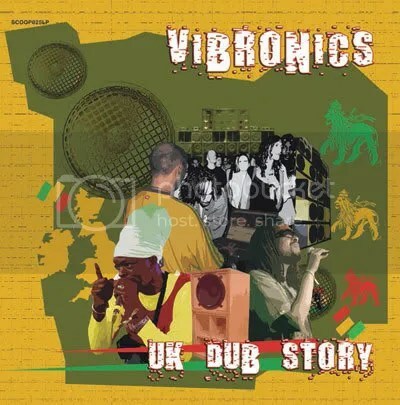 Like all the other SCOOPS releases, this limited vinyl edition will surely sell out, and become a rarity part of the “Story” that Vibronics helped create: “UK Dub Story”. Since the very first beginning, Vibronics have aid to provide new definitions to what is so often called The Underground of Underground music culture. In fact, the UK dub scene keeps on going, regardless of the little media exposure that it has. Tradition is a ruling point on this matter, once, fortunately, so many dub addicts all over world & mainly Europe keep on following Jah Shaka, Iration Steppas or Aba-Shanty-I traditions for another earth shaking dub session. 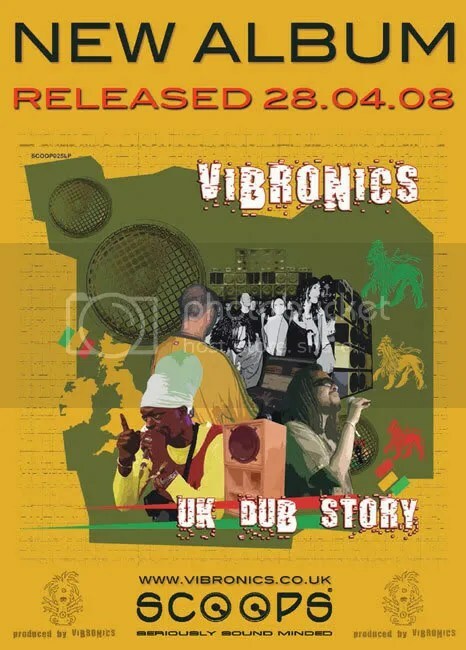 If it´s true that Vibronics were born from this tradition, it´s also true that they keep on pushing it to a next level, and the soon to be released (28th April 2008 ) new album “UK Dub Story”, places Vibronics crew on the vanguard of the future sound of dub. Throughout the 12 tracks that make this new, UK Dub Story, we can find it all! UK Dub trademark is, as always, the everlasting presence of the heaviest basslines, so be sure to switch ON the humble BASS option in your player! The spatial echoes, vintage dub sound effects and a warfare like drum display resonate all over the set, creating one of the most clear dub atmospheres from the latest times. Tracks like Night Storm, with brilliant acoustic guitar arrangements, or the melodic flavored Safe in the Dub are a true appeal to the oldscholl fans; as for World of Dub, Dawn Chorus, Silver&Gold or our top favorite Flying Dub, it will be non-stop skanking for steppas addicts! The “opener” Fistfull of Dub, brings an experimental tribal approach to Vibronics sounds, and the “closer” Digital Revolution rounds up the full diverse approach that UK Dub Story has to offer. Alongside the classical uplifting instrumental tracks Tired of the War, Long Time dub and Kings Highway Dub, we are connected with the partial vocal features of Echo Ranks, Macka B & Jah Marnyah (the first two featuring on full style in the mentioned 7 inch releases). You may not be a fan or expert on Modern Dub music, but if you enjoy Jamaican Reggae, World Music, Drum & Bass or Dubstep, UK Dub Story as surely a new approach to offer you…Just be sure that when you hit play, from the opening, sounding like traditional instrument, Berimbau chords, you will be heading towards the Future Sound of Dub! This entry was posted on April 16, 2008 at 12:08 am and is filed under ZonaReGGae Reviews. You can follow any responses to this entry through the RSS 2.0 feed. You can leave a response, or trackback from your own site.